Given the youthfulness of our democracy and the diversity of it I would suggest that while it is obvious that we have a number of Hobbit and Hooligan voters in this country, we have more Vulcans than we suspect. These are the only people who are likely to change their vote based on the manifesto and the sloganeering of a prominent political parties. These are the only people who will interrogate the legitimacy of campaign promises. 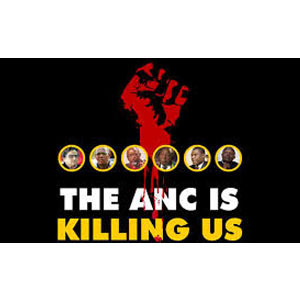 What does “The ANC is killing you” promise? What does it promote? What does it say that the questioning voter will support? What information does it offer Vulcans that might get them to change their vote? How about “The ANC is not delivering, We will, Give us a chance”. Vulcans might give that serious thought.